This article previously appeared in Healthcare Business Today. Check it out here. Artificial intelligence has been one of the most important — and perhaps most jarring — technological advances of the 21st century. Lines of code have been trained to drive cars, detect faces, and decode complex radiological images, and the recent explosion of AI utilizations has created a jagged divide in societal perception. On the one hand, there are those who fear the robot apocalypse, with entrepreneur Elon Musk himself claiming that “AI is a fundamental risk to the existence of civilization.” Conversely, there are those who overzealously point to AI as a panacea, a cure-all for everything from weight loss to higher education. Marketing hype is dangerous, both for AI technology itself and for the humans that could benefit from it. Beyond just risking a complete misunderstanding, overhyping AI imperils its very progress — much like what occurred in the “AI winter” of the 1970s and 1980s, during which the technology had been so sensationalized that, when it could not fulfill every unfeasible expectation, it was met with a period of deep disenchantment that resulted in a lack of popularity, funding, and technological advancement. Once again, AI finds itself reaching the end of the second stage of the Gartner Hype Cycle, the peak of inflated expectation — and if we’re not careful, it may slope back into what Gartner calls “the trough of disillusionment,” prompting yet another lack of public interest and capital investment. 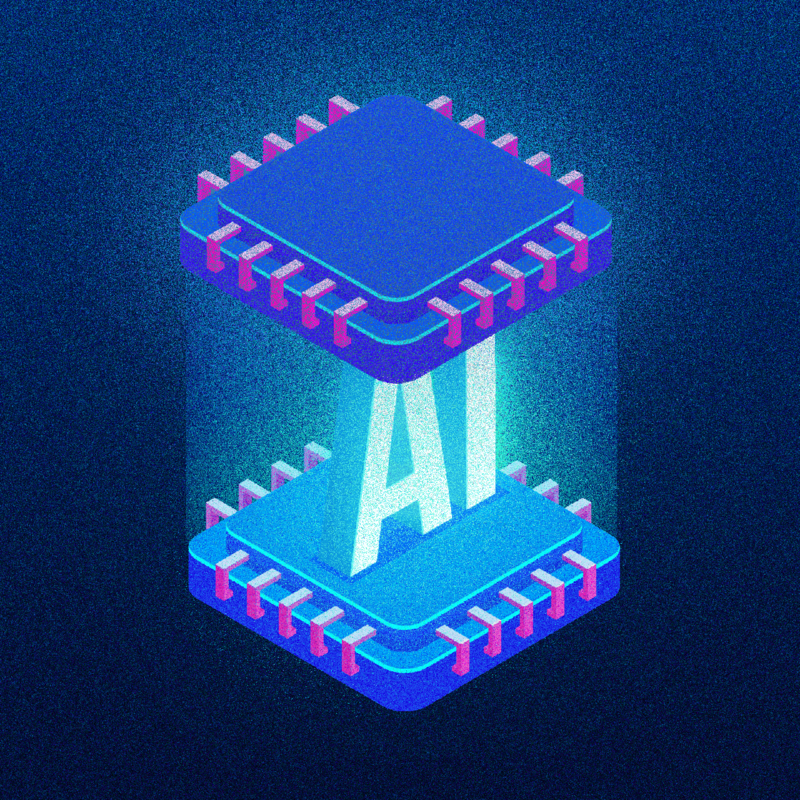 To avoid the pit, it’s important to properly understand AI and its limitations so that we may use it more effectively in areas where AI particularly excels. Artificial intelligence essentially allows machines to “learn” from experience and adjust to new inputs, in order to accomplish tasks by synthesizing enormous amounts of data and analyzing that data to find patterns. While it’s true that AI can accomplish a variety of tasks more efficiently than us — due to a machine’s ability to store and compute far more data than a single human mind (or even a team of human minds) — it does have its limitations. For instance, deep learning, one of the more complicated branches of AI, mimics the human mind by utilizing an artificial neural network, wherein layers of mathematically simulated neurons are trained to respond to certain inputs. This method of training, known as supervised learning, is not automatic — it requires varying degrees of attention from engineers, who feed pieces of information into a machine (such as IBM’s Watson) until the machine is able to draw out the most likely conclusion from those data. Additionally, AI is unable — as of yet — to handle abstract reasoning. Manually-trained programs comb through historical data in order to construct patterns upon which they can make predictions. Although these programs are exceedingly useful when solving problems of categorization, they possess no true understanding in the way that a human does. Acknowledging AI’s limitations has not impeded its progress — in fact, it’s quite the opposite. Companies from a broad range of fields have been effectively utilizing AI not in spite of its limitations, but because they have found ways to capitalize on them. Currently, FICO uses neural networks to predict fraudulent banking transactions, a process that involves high-volumes of data that are exceedingly arduous to manually sift through. The agricultural industry is also benefiting from AI, with companies using autonomous robotics, machine vision, and predictive analytics to reduce labor costs and maintain soil and crop health. In education, AI is already assisting teachers with menial tasks such as grading and has even proven useful in tutoring students. And in healthcare, Watson Paths, a research collaboration with the Cleveland Clinic designed to assist medical professionals, enables “a more natural interaction between physicians, data and electronic medical records.” Designed to mimic the decision-making process physicians use when diagnosing, the software doesn’t need to be manually programmed to find the correct answer, and it has been so successful that it’s currently being used to teach med students. Viewing AI either as a catalyst for the apocalypse or as a panacea of all of mankind’s difficulties is a hindrance to further advancement in the field. We at Aspire Ventures take full advantage of the benefits of AI, weaving adaptive, personalized algorithms into all of our technologies in order to glean the most valuable outcomes. Only by understanding both the capabilities and limitations of these very technologies can we unlock their true potential.